Investigations into the deaths of children in Massachusetts are being hurt by delays at the state's Medical Examiner's Office. In a joint investigation with the New England Center for Investigative Reporting, we found the office has taken as long as three years to rule cause of death for abused or neglected children. In the midst of crisis, Gov. Charlie Baker has pledged to keep at-risk kids safe, but little has been said about what happens after children die. Necn and NECIR found these delays are not just causing heartbreak for families waiting for answers, but could be putting other children in danger. 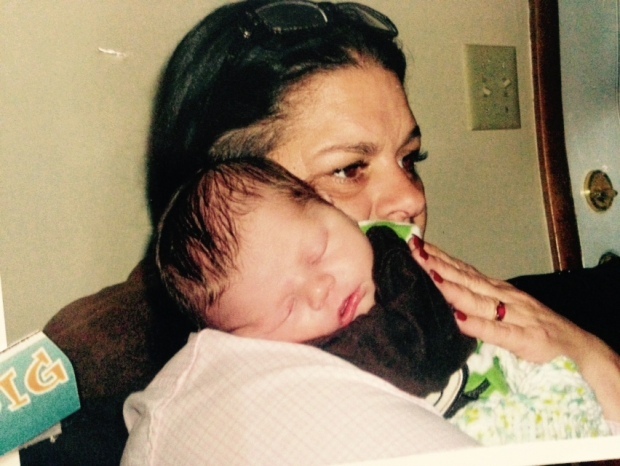 Shelly Medeiros can't bear to throw anything of her grandson's away. His teething ring still sits in the freezer. His clothes hang in the closet - even though it's been three years since 8-month-old Jay Hudson Bassett died on Thanksgiving of 2012. "I said, It's him. He's dead. It's Jay. He's dead. He's dead. He's dead," Medeiros said. Medeiros never believed her daughter's story. Her daughter and her daughter's boyfriend told investigators they found the baby unresponsive in his crib inside a Worcester rooming house. According to the police report, Santiago said, Jay "felt like dead weight and his lips were blue." When Jay was taken off life support three days later, the hospital initially pointed to natural causes - sudden infant death syndrome. Medeiros hounded investigators and state officials, but it would be 18 months before the State Medical Examiner's Office ruled an official cause of death - homicide, blunt force trauma to the head and neck. Medeiros fears the delay in the medical examiner's ruling hurt the investigation. Jay's mother and father - not charged in their son's death - quickly left the state and Medeiros says potential evidence, like Jay's bedding, was lost. "It was never a crime scene so they went home and cleaned up," Medeiros said. Worcester Police would not comment, but insist the case is active. They obtained search warrants for the rooming house six weeks after Jay was killed. Jay's mother and father did not return necn's calls and did not come to the door when an NECIR reporter visited them in Ohio where they now live. "They have to be held accountable - whoever it is," Medeiros said. Experts say child death investigations across Massachusetts are being hurt by delays at the medical examiner's office. 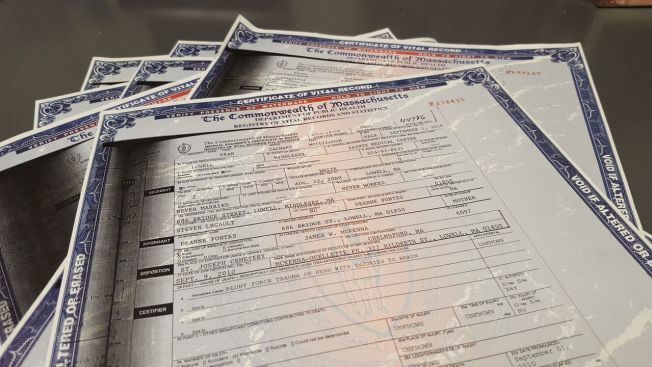 In a joint investigation with the New England Center for Investigative Reporting, necn reviewed the death certificates of more than 100 children who died of abuse and neglect and found the medical examiner's office took - on average - 242 days, and as long as three years to issue a death ruling. That's far longer than national standards. "The long wait times are not acceptable. They have to be addressed," said Dr. Stephen Boos of Bay State Medical Center. Experts say delays at the medical examiner's office can put other children at risk if they are living with potential abusers still on the street. It can also hurt the criminal prosecution or defense. Chief Medical Examiner Harry Nields would not comment. A spokesperson for Public Safety Secretary Daniel Bennett declined an on-camera interview, but did give us an audio statement. He said rulings on child deaths can take significantly longer than adults because their developing bodies may need more extensive tests that the office needs to outsource. But he was quick to add that police and DAs are not waiting on an official cause of death to investigate a potential homicide. "You can do the autopsies - those are happening right away," Bennett said. "It's that paperwork that stacks up and up and up and they get behind because they don't have enough medical examiners." But that paperwork is important. Take the case of Jeremiah Oliver. The Fitchburg boy was found dead inside a duffle bag last spring. His mother and her boyfriend are behind bars on child abuse charges, but the medical examiner's office has not ruled on cause of death, so no one has been charged in his murder. "That's when you have to go to the science and it just makes it so much harder to get answers," Worcester County District Attorney Joseph Early said. Early would not comment on Jeremiah or Jay's cases, but said his office can't rush the medical examiner because often a child's dead body offers the only clues they have. "Sometimes the path to justice isn't always a straight line," he said. "We do our best." That's a bitter pill for Medeiros to swallow. Her daughter and her daughter's boyfriend now have a new baby - another boy. Medieros prays he's safe as she battles for justice for Jay. "I'm begging - somebody to help me," she said. Bennett - the state's public safety secretary - said the medical examiner's office is digging out of a hole that scandal and understaffing have created over several years. He said they have the equivalent of 12 full-time medical examiners when they want 20, and are struggling to hire more.